Call me crazy but I'm getting pretty good at taking photos all by myself. My hat is complete! I worked exclusively on this project over the weekend so I could finish a project in a timely manner. After three weeks of being unable to sit and knit without back pain, this quick project was the perfect project to work on now that I'm recovered (mostly). 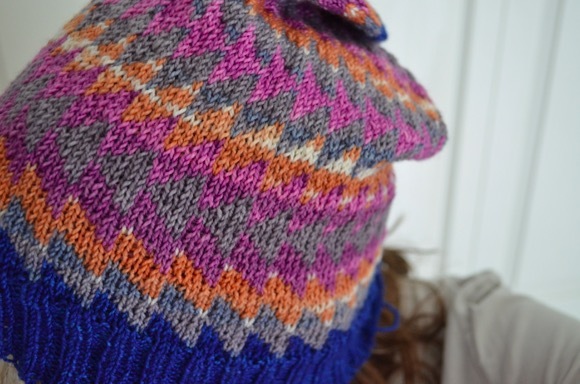 Hats are a great way to see quick progress, try new stitches or color work patterns, or to have instant gratification of finishing a project. 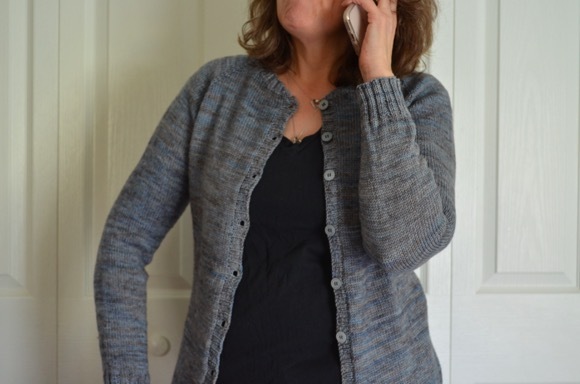 The yarn is from a mini-skein bundle named 'Dr Who' by A Hundred Ravens. 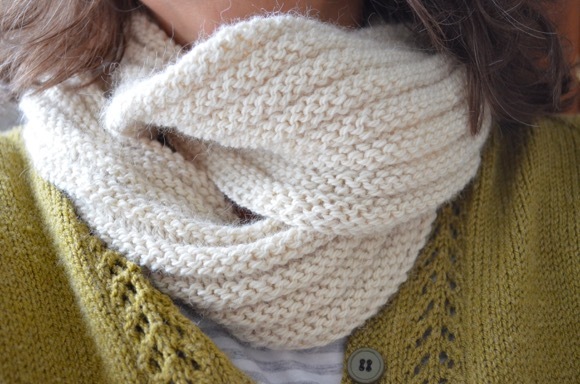 The yarn was soft, smooth and a delight to knit with for this project. Oh, Karen! I love it! So cute!!! I love the yarn colors! Fabulous finish! Love the colors and the pattern. Very cute! Glad your back is doing better! Cool hat! So many itty bitty stitches. I knit too but I suppose I'm slow. I don't think I could have finished that hat in one weekend. Kuddos to you. Glad you're back is better. Your hat is beautiful! So sorry to hear about your back, they can cause such pain! Glad your on the mend. It really looks fabulous - you should be very proud of yourself! 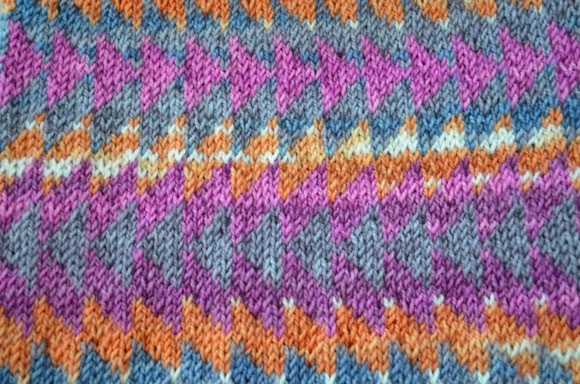 Love the beautiful mix of colour the yarn is a delight. Glad to hear you are on the mend. I am working on a rug today but will go back to a blanket tomorrow. 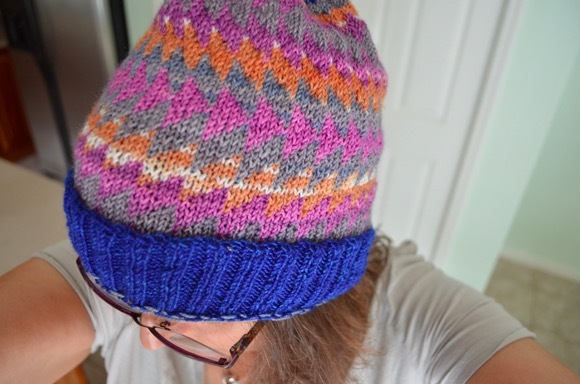 Gorrgeous colors and great hat! great hat!!! guess you are like me and wishing the summer away?!? I saw "Dr Who hat" and I wondered about the reference ... and now I see it's the yarn! Very nice!! That turned out great! Makes me want to do some colorwork again. Hmn. Maybe next weeks hat? I love all those colors. And you are excellent at taking photos of your own head. Not easy. I've tried it. What a fun hat. 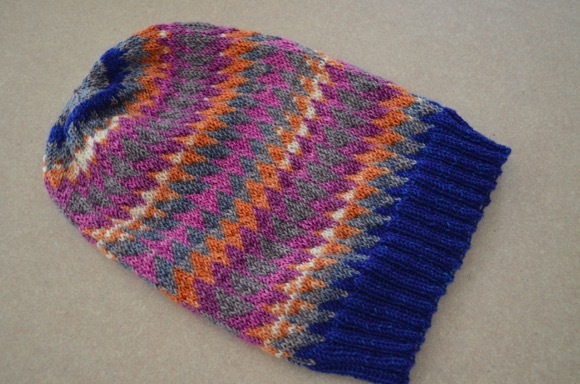 I have just learned how to do a Russian join so I can make yarn cakes from scraps and make some fun multicolor hats. The hat is very bright and cozy. It will be fun to wear in the winter among the gray and cold. 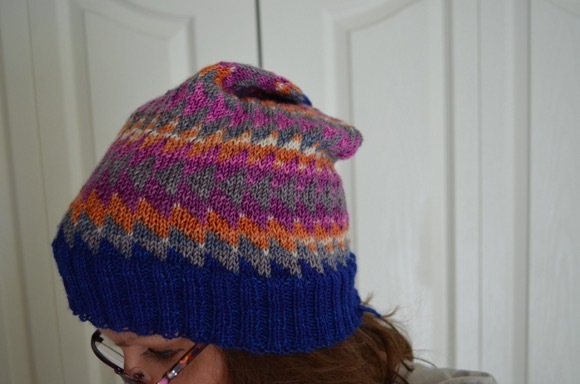 I have discovered lately the fun of finishing hats. Happy August. The color palette is fun and looks great on you.